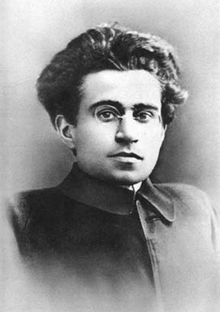 Antonio Gramsci (23 January 1891 – 27 April 1937) was an Italian writer, politician and political theorist. A founding member and onetime leader of the Communist Party of Italy, he was imprisoned by Mussolini's Fascist regime. Letter from Prison (21 June 1919), translated by Hamish Henderson, Edinburgh University Student Publications. Cited in Davidson's (1977) Antonio Gramsci: Towards an Intellectual Biography. London: Merlin Press., p. 77. It is all a matter of comparing one’s own life with something worse and consoling oneself with the relativity of human fortunes. When I was eight or nine I had an experience which came clearly to mind when I read your advice. I used to know a family in a little village near mine: father, mother and sons: they were small landowners and had an inn. Very energetic people, especially the woman. I knew (I had heard) that besides the sons we knew, this woman had another son nobody had seen, who was spoken of in whispers, as if he were a great disgrace for the mother, an idiot, a monster or worse. I remember that my mother referred to this woman often as a martyr, who made great sacrifices for this son, and put up with great sorrows. One Sunday morning about ten, I was sent to this woman’s: I had to deliver some crocheting and get the money. I found her shutting the door, dressed up to go out to mass, she had a hamper under her arm. On seeing me she hesitated then decided. She told me to accompany her to a certain place, and that she would take delivery and give me the money on our return. She took me out of the village, into an orchard filled with rubbish and plaster; in one corner there was a sort of pig sty, about four feet high, and windowless, with only a strong door. She opened the door and I could hear an animal-like howling. Inside was her son, a robust boy of 18, who couldn’t stand up and hence scraped along on his seat to the door, as far as he was permitted to move by a chain linked to his waist and attached to the ring in the wall. He was covered with filth, and his eyes shone red, like those of a nocturnal animal. His mother dumped the contents of her basket – a mixed mess of household leftovers – into a stone trough. She filled another trough with water, and we left. I said nothing to my mother about what I had seen, so great an impression it had made on me, and so convinced was I that nobody would believe me. Nor when I later heard of the misery which had befallen that poor mother, did I interrupt to talk of the misery of the poor human wreck who had such a mother. When I was a child the boys of the town never came near me except to make fun of me. I was almost always alone. Sometimes, finding me by chance among them, they hurled themselves against me, and not only with words. One day – and while he told me this his great eyes shone with an inner light - … they started to throw stones at me with more violence than usual, with the evilness which is found among children and the weak. I lost patience, and grabbing stones I too started to defend myself with such energy that my attackers were put to flight. Mario, I succeeded in beating them: I terrified them to such an extent that from that day they respected me and no longer annoyed me. I ran to my mother … and told her of my first victorious battle: she kissed me tenderly and it was the best prize that I could have wanted. Gramsci cited in Garuglieri's Garuglieri, 'Ricordo di Gramsci.' Societa, 691-701., 1946, p. 700. I can’t think why Delio [son] has not been told that I’m in prison, and why no one reflected that he might then find out about it indirectly, that is, in the most disagreeable way for a child, who then begins to doubt the truthfulness of those educating him, to think about it on his own account and draw apart. At least, that was my experience as a child: I remember it perfectly . . . I believe in treating children as rational creatures with whom it is possible to discuss even the most serious matters. This makes a very profound impression on them, it strengthens their character and above all it avoids leaving their development at the mercy of random environmental pressures and casual, impersonal encounters. It really is very strange how grown-ups forget they were children themselves, and make no use of their own experiences. For my part, I recall vividly how offended I was at every discovery of a subterfuge, even if it was meant to keep painful facts from me, and how this shut me up within myself and made me withdraw. Gramsci cited in Fiori, 1970, pp. 22-23. For two years I have lived outside the world: in a dream world. One by one, I let each strand tying me to the world and to my fellow men be cut. I live entirely for the mind, for the. heart not at all …. I turned myself into a bear, inside and outside … other people did not exist for me. For perhaps two years, I didn’t laugh once and I didn’t cry … but I never hurt anyone but myself. s:Pagina:Gramsci - Quaderni del carcere, Einaudi, I.djvu/318 § (34). Passato e presente. English translation Selections from the Prison Notebooks, “Wave of Materialism” and “Crisis of Authority” (NY: International Publishers), (1971), pp. 275-276. My practicality consists in this: in the knowledge that if you beat your head against the wall it is your head which breaks and not the wall … that is my strength, my only strength. The first number of L'Ordine Nuovo, edited by Gramsci, appeared in 1921 with this motto of Ferdinand Lassalle on the first page. It is often misattributed to Gramsci. The long march through the institutions. 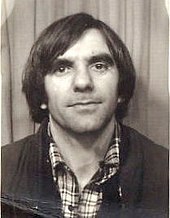 Due to German student movement leader Rudi Dutschke, who coined it in 1967 as „Der lange Marsch durch die Institutionen“. See Strategy, Hegemony & ‘The Long March’: Gramsci’s Lessons for the Antiwar Movement, by Carl Davidson, April 06, 2006. It was popularized in the protests of 1968, and Dutschke’s posthumous 1980 work is titled Mein langer Marsch (My long March). See Marsch durch die Institutionen at German Wikipedia for extensive discussion. A reference to the Long March of the Chinese Communist Red Army in 1934 & 1935; note that Gramsci died in 1937. Various corruptions include “through the culture” or “slow march”. Widely attributed to Gramsci, Joseph A. Buttigieg, the editor of the English critical edition of Gramsci’s Prison Notebooks asserts that the phrase does not originate with Gramsci. Buttigieg, Joseph A. (2005). "The Contemporary Discourse on Civil Society: A Gramscian Critique". boundary 2 32 (1): 33-52. ISSN 0190-3659. DOI:10.1215/01903659-32-1-33. Retrieved on 2010-06-30. The idea is connected with Gramsci's theory of cultural hegemony, but does not originate with him – he called the concept a “war of position”. The old world is dying, and the new world struggles to be born: now is the time of monsters. Loose translation, commonly attributed to Gramsci by Slavoj Žižek, presumably formulation by Žižek (see below). The old world is dying, the new world tardy (slow) to appear and in this chiaroscuro (light-dark) surge (emerge) monsters. Collected in: Remember Mongo Beti, Ambroise Kom, 2003, p. 149. We must prevent this brain from functioning for twenty years. This page was last edited on 6 April 2019, at 11:45.